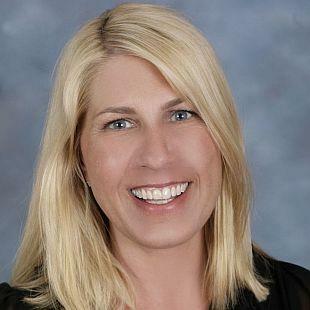 Deborah Brown is one of J. Wavro Associates Top Performing Real Estate Agents. Deborah won the 2014 San Francisco Apartment Association Leasing Agent of the Year. She specializes in Residential Leasing and Relocation Services within San Francisco. Deborah works with a number of high profile clients, including players of the San Francisco Giants and Golden State Warriors. Deborah has a BSBA in Accountancy from Northern Arizona University and is a licensed Real Estate Agent and CPA in the State of California. Prior to joining J. Wavro, Deborah had a highly successful career in the corporate world, having spent 16 years in Accounting, Finance and Audit with Fortune 200 and 500 companies. Because of her background, she brings a high degree of professionalism in interactions with all clients. She quickly establishes working relationships by developing a connection on a professional and personal level; communicating a sense of trust with her clients. $2495 Bright Brand New Remodeled Studio w/ HW! Prime Location! $2795 Bright Brand New Remodeled Spacious 1bd Apt w/ HW! $3250 Bright Remodeled Large 1bd Apt w/ HW Floors! Prime Location! $2650 Prime Inner Mission Bright Remodeled 1bd Apt! $2850 Large Remodeled Nob Hill 1bd Apt w/ HW! Prime Location! $2895 Prime Nob Hill Large Remodeled Ground Floor 1bd Apt! $2595 Prime Russian Hill Remodeled Cozy 1bd Apt w/ HW! $2850 Bright Spacious Remodeled Apt w/ HW! Central Location! $3795 Prime Cow Hollow Remodeled Large Top Floor Apt w/ HW! $3750 Bright Top Floor Remodeled Prime Mission 2bd Flat! $4995 Top Floor New Remodeled 3bd Apt w/ HW! Excellent Location! $8800 Spacious Presidio Heights 3bd/3ba Condo w/ Parking & More! $4995 Prime Russian Hill Bright Remodeled 3bd Flat w/ HW! "We want to thank Deborah Brown for her amazing efforts in getting our apartment rented in what must have been record time. We are very happy with our new tenants. She went above and beyond to ensure that we closed on the purchase of our new home! My husband and I recently relocated from the East Coast. We were fortunate to enlist the services of Deborah Brown at J. Wavro. Deborah proved to be very qualified and we were totally satisfied with everything about our experience. She is a good communicator, does what she says she is going to do, was always on time and made us feel like we were important clients. Deborah possesses the skills, knowledge and customer service traits necessary to help "newbies" like us navigate the world of the complex SF rental market. She was willing to show us many areas of the city so we could narrow down our choices and make a good long-term decision about location. She kept a positive attitude when we started to falter after looking at many properties and just not seeing what we wanted. She always made us feel she cared about us finding the right place. And, most importantly, she persevered until we did. If you need help, she's the person to call for leasing and relocation services! I worked with Deborah Brown twice(!!) and each time had a great experience. I just moved to SF from New Jersey on short notice. My first time working with Deborah I had to quickly jump into a fully furnished apt - I signed a 3 month lease and was very happy. She helped in every way possible and made my transition to SF flawless, she even met me at 11PM with the keys to my new place. The second time working with Deborah was to find a 12 month lease that I could furnish myself. Deborah had gathered over 15+ listings all within my budget and my desired neighborhoods. I ended up finding a great apt within my budget and in a great area. Very happy with the results. I really had a great experience and highly recommend working with Deborah. I give the highest recommendation to Deborah Brown. She is professional, efficient, and completely dedicated to helping you find an apartment in San Francisco. I've been renting in the Bay Area for over a decade, and the market right now is as bad as I've seen since '00. As I had done in the past, I tried looking on Craigslist and looking at places myself, but after one too many bad experiences with landlords, I realized I needed to get some help. Deborah was prompt, immediately booked many apartments within my price range and desired neighborhoods, and was an incredibly good sport during an inherently frustrating experience. She kept in constant contact with me during the whole process, checking in and keeping me updated. I'm thrilled to say that, with her help, I now have an ideal apartment at a reasonable price. Deborah's services were invaluable. I'd unsuccessfully been looking for an apartment over the course of a few weeks after relocating from London. Through friends, I was referred to Deborah, and I worked with her over the course of a weekend to find a one-bedroom apartment. I wouldn't have found my place without her, and her patience, local knowledge and humor were all remarkable. I would unreservedly recommend her relocation-assistance services to any of my friends. Just wanted to thank Deborah Brown for helping us to find a new place to live. Couldn't have done it without her! I'll be sure to refer anyone looking for a new home in San Francisco place to Deborah!